Thanks for checking out the CanWheel Newsletter! A place to find out what is going on in the CanWheel world! 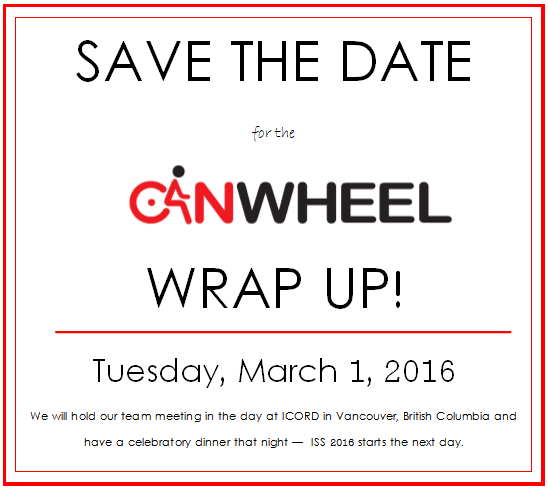 CanWheelers came together for our Annual Team Meeting on Tuesday, March 1st, 2016 in beautiful Vancouver, BC. Although it was a “Wrap-up” meeting (i.e., potentially the last time we come together face-to-face as a team), it became clear throughout the course of the day that our team motivation and work is far from over!!! Thanks to all our project presenters and the insightful reflections from the whole team. Also, a special thank you to past and current Scientific Directors of the CIHR Institute of Aging, Drs. Anne Martin Matthews and Yves Joanette, for participating in the day! Our team continues to make great progress on software and hardware issues for the next iteration of our smart wheelchair! Currently, we are working on a number of conference paper submissions as well as a number of papers around the WoO project. In Toronto, Pooja is currently making good progress on advancing her start-up company and Gen and Tricia are making great strides on their thesis proposals. The McGill crew is getting ready to do some field tests in a mall setting with the PWC and in Vancouver, we are expecting a few new trainees to join the team in the summer to assist with coding around the CoPILOT project! Productivity is the word for this team! Four journal articles have already been published, another is under review, and four more are about to submitted within the next few months. 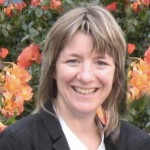 Paula is also in the midst of working with a statistician for analysis of the longitudinal data collected on wheelchair users (WCU) and caregivers across 6 sites in Canada over a 2 year period. In addition, qualitative interviews collected as part of the study are currently being thematically coded and analyzed. Basically, stay tuned for an explosion of publications from this sub-team! Our paper, “Data logger technologies for manual wheelchairs: A scoping review”, has been revised and resubmitted into Mechanical Engineering and Physics. We have also started another scoping review of datalogger use on power wheelchairs as well as a manuscript for the findings of our online survey “A survey of researchers and clinicians perspectives on the critical outcomes of data-logger use on manual wheelchairs”, which closed in late 2015. We also look forward to presenting our work at the European Seating Symposium in Ireland in June! Our team commenced a descriptive cross-sectional sub-study, “the extent to which caregivers enhance the wheelchair skills of powered wheelchair users”. Five sites (Halifax, Quebec, Montreal, London and Vancouver) are involved and we aim to recruit 125 wheelchair user/caregiver pairs. We are in the lift off phase, but recruitment has started off strong with 9 pairs having participated so far! Keep up the good work everyone! What brought you to CanWheel? I was a PhD student with Bill at the time the grant was submitted, so I came along for the ride. What role(s) did you play in CanWheel? I was involved in data analysis and writing up the findings from the interviews from therapists for P1, I led the qualitative component for P2 and I was involved in the qualitative data collection for P3. What was CanWheel’s role in the evolution of your career? I believe my work in CanWheel contributed to me being successful in my application to become an assistant professor at UBC. I continue to collaborate with members of CanWheel in a variety of other projects. The promotion of student authorship has definitely been a real boost to my productivity. What was your most memorable experience during this time (2009-2016), both CanWheel related, as well as personal developments? The qualitative data we collected as part of P2 are really amazing. I loved the opportunity to do repeated interviews with these participants. I also loved the time someone photobombed us when we were taking a picture of Bill in front of restaurant in Montreal after Bill’s birthday dinner. 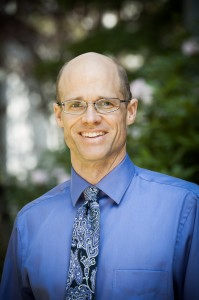 Living the academic dream, as an Assistant Professor in the Department of Occupational Science and Occupational Therapy at UBC. I am truly amazed at the productivity and scope of the team grant that Bill put together! Big shout out! many opportunities to present and publish What are you up to now? 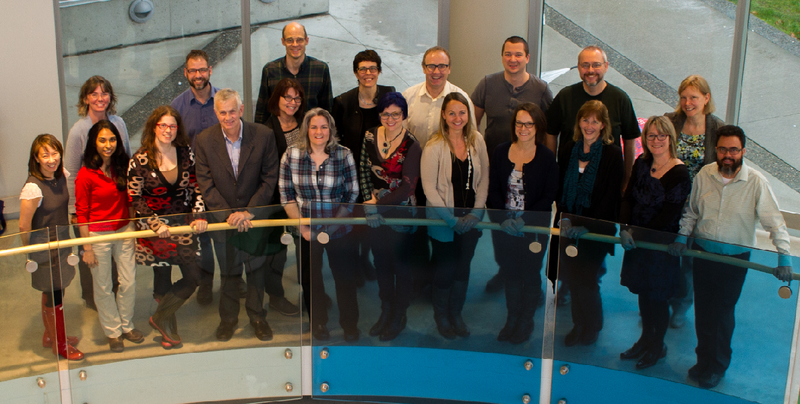 I truly felt very fortunate to be a CanWheel trainee and part of such a dedicated, inspirational group of researchers. CanWheel gave me a network I can rely on anytime I need to. It allowed me to become a Network investigator in AGE-WELL and I can refer to this large team experience to navigate through challenging situations. I learned that a large team spanning a 4-hour time zone across Canada can « feel like a team » and can become a « wheelchair family » as we like to say. Bill is a great leader!! and K2 is a great organizer! It was an amazing opportunity presented to me by Jan Polgar during my 1st year in graduate school at Western. I started with P2 as a research associate and progressed to a CanWheel trainee and then co-leader for P5 and the caregiver study. CanWheel played a large role in my career development as a researcher. It allowed me to participate in quantitative research which complemented my own qualitative research study, helping to round out my graduate student experiences. The national perspective of the CanWheel team also helped me make connections across the country, meeting people with common interests. 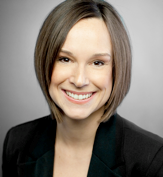 My involvement with CanWheel helped me solidify the career direction I wanted to pursue, to contribute to the research knowledge in this field and to the translation of research in this area into clinical practices. My most memorable experience was boot camp in Halifax for P5, Lee getting wheelchairs stuck in the grass and gravel, and almost hitting a lamp post while in the wheelchair with Lee saying “See that’s the effect of slope on driving a wheelchair.” My power wheelchair skills and confidence greatly increased! Second is the annual meetings in Vancouver, and the chance to connect with team members face to face and re-kindle the excitement for the projects. I am pursuing my chosen career path, working clinically, enabling research in the clinical setting, and fostering the uptake of research in clinical practices. Thank you for the opportunity to be part of this amazing team and experience. I truly feel privileged to have been a part of it. I was just finishing up my PhD on powered wheelchair technology for older adults with dementia (actually a certain CanWheel PI was my external examiner!) and starting my Post Doc with Alex Mihailidis. While my main project was on stroke rehab robotics, he suggested that I could also be a part of CanWheel so I could continue some of the powered wheelchair research I was interested in. I was a trainee mostly working in P1 and partially on P3. In P1 I had the great pleasure of working with Laura Hurd Clarke. She has been a wonderful mentor in research, work and life! (I still say mentor, even though she prefers colleague.) We were looking at powered mobility user, caregiver and prescriber perspectives on smart wheelchair technology and implications for design. The added bonus at the end of this project was that we got a CIHR Age+ Prize for our paper! This was my first experience working with a national network of researchers and trainees and it was great to be able to participate and contribute to the team effort. I learned how different disciplines interacted, viewed problems and solutions, worked together, and managed their work. It is hard to pinpoint any one contributor, unless you count the ongoing encouragement throughout the 6 years (! ), that led me to my current role. There was so much to learn and I soaked everything up like a little sponge. The most memorable CanWheel experience is probably the workshop that Pooja Viswanathan and I did at ICORR in 2013. I don’t know why, but I was actually surprised by the enthusiasm from the invited speakers and participants! Probably because sometimes I feel like we are working in our own little bubble (and getting excited by our own work!) and when you reach out to people you find many kindred spirits. This led to our CIHR Planning Grant where we were able to have an expanded workshop in Toronto and invite more kindred spirits! We made a lot of new friends. 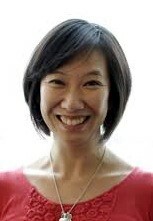 I am working as an Assistant Professor in OS and OT at University of Toronto. My focuses these days are on clinical testing and implementation of a robotic system for upper limb rehab post-stroke and examining the ethical aspects of assistive technology policy in Canada as part of AGE-WELL. Only that I very much appreciate the support and encouragement that I received as a trainee in CanWheel and the opportunity to collaborate with such a brilliant group of researchers. Please give a slow clap to the following CanWheelers! 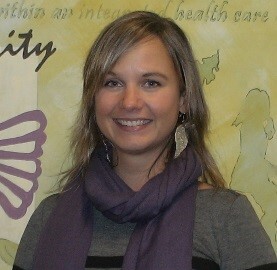 Dr. Krista Best who has been awarded the Craig H Neilsen Psychosocial Research Postdoctoral Fellowship. This two-year Postdoctoral Fellowships encourage early-career mentored training to increase professional interest in the field and to encourage researchers from related health disciplines to undertake training in psychosocial research focused on spinal cord injury. 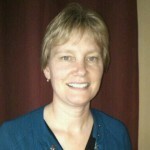 These funds will support her project, ‘Evaluation of a Smartphone-based Peer Counselling program for individuals with spinal cord injury”, to develop and evaluate an adapted physical activity program that will be delivered by individuals with SCI using a smartphone to individuals with SCI living in the community. Dr. Pooja Viswanathan for winning an AGE-WELL Strategic Investment Program grant which supports opportunities that require a rapid response in order to generate, promote or accelerate economic and social benefits aligned with AGE-WELL’s mission and vision. These funds will support her project “Collision Avoidance and feedback system”, where she will be developing a market-ready prototype of an add-on system for wheelchairs that can increase safe and independent mobility. The system transforms commercial wheelchairs into ‘smart’ wheelchairs that can detect obstacles, offer feedback to the driver, and help prevent collisions. The system is being developed for commercialization through a new startup, Braze Mobility Inc. at the Impact Centre. Congratulations to all of you our CanWheelers for an awesome job with presentations at this year’s ISS! Rushton P, Mortenson B, Viswanathan P, Wang R, Clarke LH, and Miller WC. Viswanathan P, Wang R, Sutcliffe A, Kenyon L, Foley G, and Miller WC. Routhier F, Keetch K, Lettre J, Mitchell IM, Borisoff J, and Miller WC. Sawatzky B, Miller WC, Routhier F, MacGillivray MK, and Kirb y RL. Miller WC, Rushton P, Kirby RL, Mortenson B, and Auger C.
The CanWheel Power Wheelchair Outcomes Toolkit: Overview and Application. CanWheel: Improving Power Wheeled Mobility for Older Canadians. This European symposium is committed to excellence and gives everyone working in the area the opportunity to come together to share information and network with colleagues. This event is now established as the leading event in Europe, and further afield, for professionals, manufacturers, suppliers and users of Seating & Assistive Technology. We hope you have a joyful jump into Spring! Please contact Kate Keetch (kate.keetch@ubc.ca) with comments, questions or Kudos.